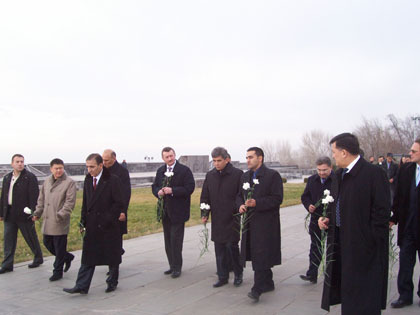 14.12.2007 CIS member statesвЂ™ chiefs of the customs services visited Tsitsernakaberd Memorial Complex. During the visit the guests put a wreath to the memorial of the Armenian Genocide victims. 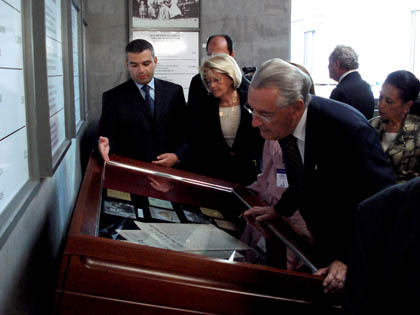 The Guests also visited the Armenian Genocide Museum. 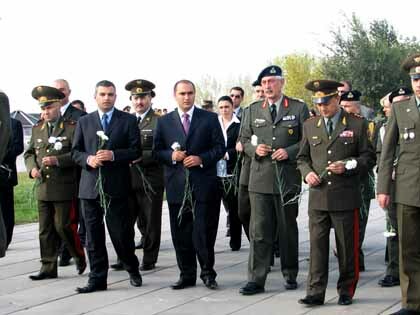 14.11.2007 The Prime Minister of the Republic of Bulgaria Sergey Stanishev, visited Tsitsernakaberd Memorial Complex. Mr. Stanishev laid a wreath of flowers at the memorial of the Armenian Genocide victims and visited the Genocide Museum Institute. 26.10.2007 On October 25, the 13th conference of the CIS member statesвЂ™ ministers of education was held at the Government House of Receptions. 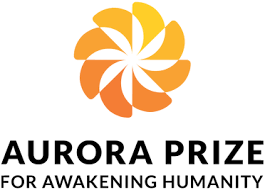 The Delegations from Armenia, Russia, Belarus, Ukraine, Kyrgyzstan, Moldova, Kazakhstan and Tajikistan participated. 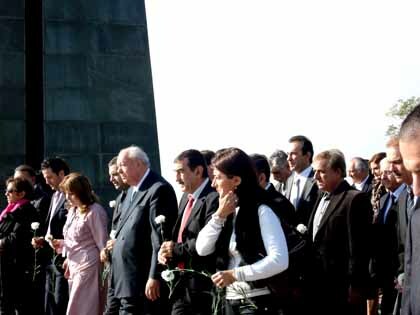 The Participants of the conference also visited Tsitsernakaberd Memorial Complex and during this visit the guests put a wreath to the Memorial of the Armenian Genocide victims. Among the visitors were Alexander Radkov, the Education Minister of Belarus, Andrei Fursenko, the Education and Science Minister of RF, Abdujabbor Rahmanov, the Tajik Education Minister, etc. 23.10.2007 Dimitrios Grapsas, the Chief of the Hellenic National Army General Staff (HNDGS), visited the Armenian Genocide Museum & Institute. During the visit the guests put a wreath to the memorial of the Armenian Genocide victims and Mr. Grapsas left a note in the Commemoration Book. 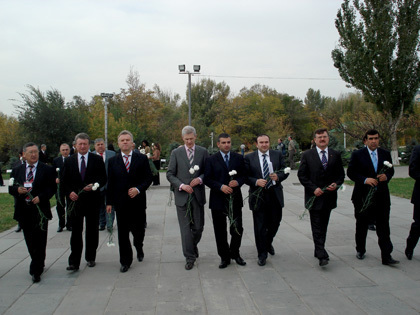 20.10.2007 The Mayor of the French City of Marseilles, Senator Jean-Claude Gaudin, visited the Tsisernakaberd Memorial Complex. 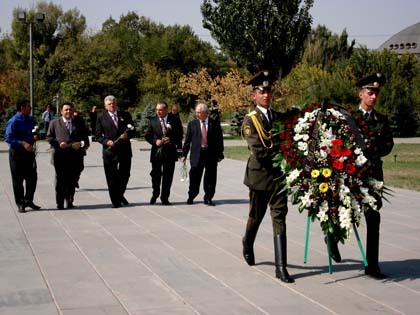 During the visit guests laid a wreath at the Memorial of the victims of the Armenian Genocide. 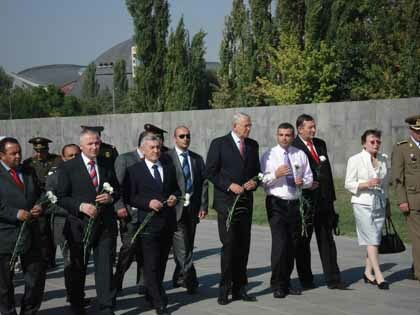 25.09.2007 In an effort to end the genocide currently unfolding in Darfur, the Armenian Assembly of America, in collaboration with вЂњOlympic Dream for Darfur,вЂќ organized a symbolic Olympic-style torch relay at the Tsisernakaberd Memorial Complex. 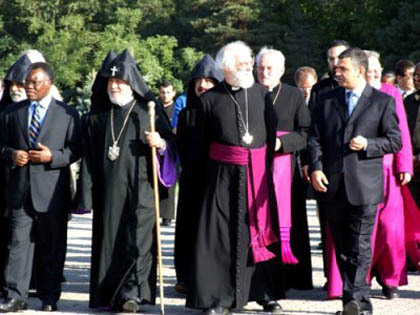 In the ceremony of the torch relay participated His Holiness Karekin II, Catholicos of All Armenians, the Archbishop of Canterbury Rowan Williams, the director of the Armenian Genocide Musuem & Institute, Hayk Demoyan and others.Guests put a wreath to the Memorial to the Armenian Genocide victims and planted a fir at the Memory Alley.